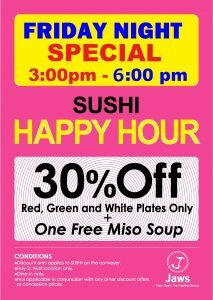 Home › Uncategorized › Jaws Hay St Mall’s HAPPY HOUR Offer on Fridays, too! 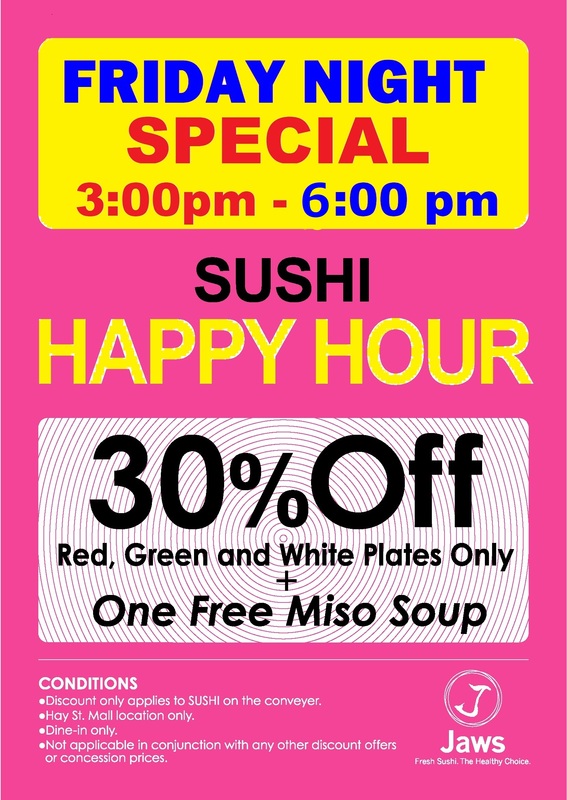 Jaws Hay St Mall shop is offering Happy Hour not only on Mon-Thu ,but also on FRIDAYS ! !